Beverly Ann Everett, 69, of Carlisle passed away on Tuesday, January 8, 2019 in her home while surrounded by her loving family. She was born September 22, 1949 in Carlisle to Margaret (McKeehan) Mowery of Carlisle and the late Charles Mowery. Beverly was a long-time member of Grace United Methodist Church which was unified and became Carlisle United Methodist Church. She enjoyed volunteering her time at the church with Mission Central, serving as an instructor at Dining with Diabetes, and participating in Meals on Wheels. She retired after 39 years of employment at M&T Bank, formerly Farmer’s Trust. She was a well-known icon at the drive thru window. She was proud to have been the first recipient of the Carlisle Luminary Award. Beverly loved spending time at her Florida vacation home and beaches as well as her backyard swimming pool. She had a green thumb and proved so with her gardening skills. She was always smiling, and her family has nothing but good memories. Her greatest joy in life was spending time with her family. In addition to her mother, Beverly is survived by her loving husband of 35 years, William Everett; son, Denny Nickel (Beth) of Carlisle; daughter, Kelly Arnsberger (Jeff) of Carlisle; stepdaughters, Suzanne Daprile (Michael) of West Chester and Jennifer Westford of Pittsburgh; sisters, Debbie Walker of Malvern, MaryAnn Mowery of Columbus, OH; brother, Chuck Mowery (Carol) of Carlisle; grandchildren, BrieAnn Arnsberger, Drew and Tanner Nickel; and several nieces and nephews. 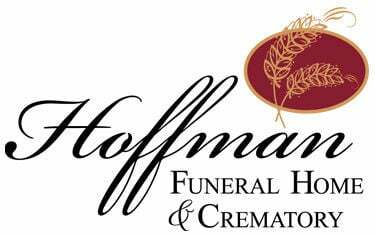 Funeral services will be held at 12:00 p.m. on Friday, January 11, 2019 at Hoffman Funeral Home and Crematory, 2020 West Trindle Road, Carlisle, PA 17013 with Rev. Mira Hewlett officiating. Burial will follow at Cumberland Valley Memorial Gardens, 1921 Ritner Highway, Carlisle, PA. A visitation will be held from 10:00 a.m. until the time of the service on Friday at the funeral home. In lieu of flowers, memorial contributions may be made in memory of Beverly to the American Cancer Society, PO Box 897, Hershey, PA 17033 or Homeland Hospice, 2300 Vartan Way, Suite 115, Harrisburg, PA 17110.